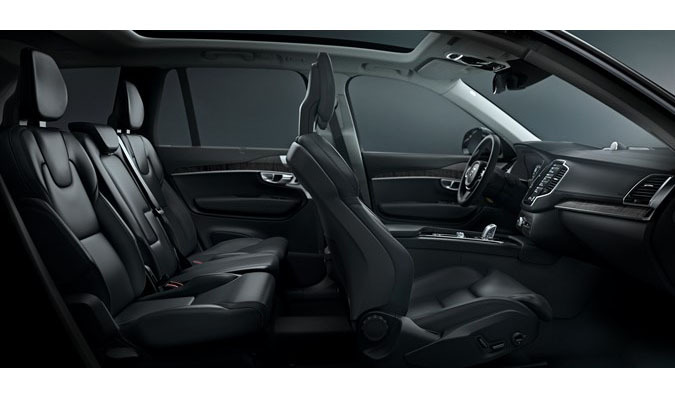 Volvo Car Group (Volvo Cars) has released the first interior images of the all-new Volvo XC90, one of the most anticipated car launches of recent years. 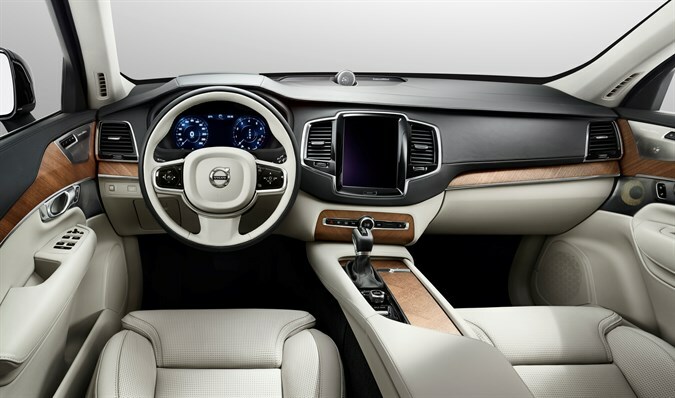 The new interior is the most luxurious to have been designed for a Volvo, taking its inspiration from the country of Volvo’s birth, Sweden, which has a global reputation for integrating the latest technology with design that is clean, beautiful and crafted from the finest materials. “The most striking feature is a tablet-like touch screen control console, which forms the heart of an all-new in-car control system,” said Thomas Ingenlath, Senior Vice President Design of Volvo Cars. This system – full details of which will be released at a later date – is virtually button free and represents an entirely new way for drivers to control their car and access a range of Internet-based products and services. It also helps create an interior that is modern, spacious and uncluttered. The new XC90’s interior combines materials such as soft leather and wood with handcrafted details including a gear lever made of crystal glass from Orrefors, the famous Swedish glass maker, and diamond-cut controls for the start/stop button and volume control. “These details are designed to become the jewels of the interior. They add a bit of exclusive playfulness rather than pure functionality,” said Robin Page, Volvo Cars’ Interior Design Director. The all-new XC90 is the first Volvo to use the company’s Scalable Product Architecture (SPA), which creates a far wider range of design options, improves driveability and permits the inclusion of the latest safety features and connected in-car technologies, while at the same time increasing interior space. 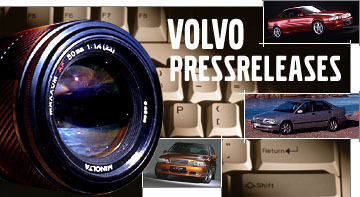 Volvo Cars already enjoys a reputation for providing the most comfortable seats in the industry. 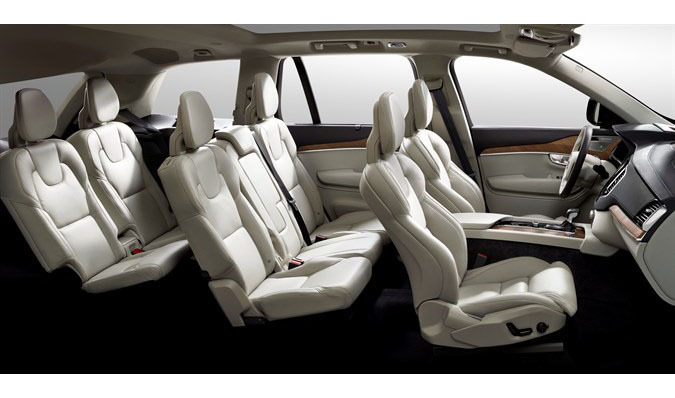 The new XC90 enhances this reputation by offering innovatively designed seats that also free up interior space for passengers both in the second and third seat rows, helping to make the new XC90 a genuine 7-seater. “Just like classic Scandinavian chairs, our new seats prove that seats don’t need a lot of thick padding to be comfortable. The full seat core has an ergonomic shape that resembles the human spine. A multitude of adjustment possibilities makes it possible for the individual user to create an ideal seating position,” says Mr Page. The standard Comfort seats are available with intuitive, smooth power operation, including adjustable side bolsters, seat cushion extension, multi-directional lumbar support and vertical adjustment of the headrests. Three settings can be stored in the memory. Ventilation and massage functions are optional. The second row features three individual seats with recline adjustment. The sliding function can be used to create more legroom for the passengers in the third row – or to increase loading space if the third row seats are folded flat. An integrated child booster cushion in the centre seat is optional. The seats in the third row, which offer class-leading comfort for passengers with a height up to 170 cm, are slightly centred to offer occupants a generous theatre-seat-inspired view forward. Additional space for the feet under the second row seats creates additional comfort and legroom. Special attention has also been given to ensuring easy ingress and egress from the third row and ease of operation, making this the best third row in the segment. All seven seats feature three-point safety belts with pre-tensioners, and all the seat rows are covered by the improved Inflatable Curtain airbags in a side impact or rollover situation. 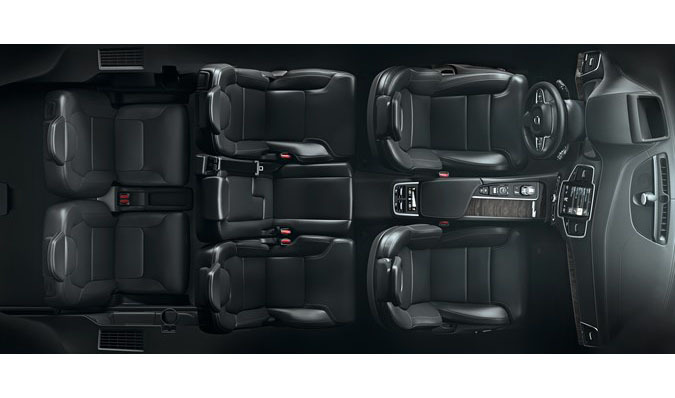 The all-new Volvo XC90 includes a number of storage options for the driver and all the passengers. All the seats in the second and third rows can be folded individually, which creates outstanding loading flexibility. The third row seats can also be specified with power operation. A pleasant and fresh interior climate is a vital part of wellbeing when driving. The all-new Volvo XC90 can be specified with a four-zone climate system with individual settings for the occupants in the front seats and in the second row. A separate air-conditioning unit for the third row is standard or optional depending on the market. Volvo Cars’ CleanZone air purification system, one of the most efficient on the market, has been further improved by adding a new filter for more efficient capture of small, harmful particles and pollen in the incoming air.